A sermonic approach to ministry for a church in transition. Featuring sermons that were preached in a congregation between the season of Easter and Christmas during an interim season of pastoral transition, this book gives attention to the church’s need for renewed leadership, exploring the nature of church for a new day, while honoring its history and reminding the congregation of the content of Christian teaching, while moving forward into a new future. Includes commentary by the author about various pertinent features in the sermons, particularly in the context of an urban Latino/a church. 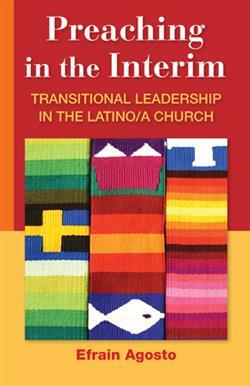 Forthcoming in Spanish as an ebook edition! Efrain Agosto, PhD., is Vice President for Academic Affairs and Academic Dean and a professor of New Testament Studies at New York Theological Seminary (NYTS). He has served as an interim pastorate for two churches in the Northeast. Dr. Agosto serves on the Steering Committee of the Hispanic Theological Initiative and represents NYTS on the Governing Board of the Hispanic Summer Program.